I am sure you are looking forward to this Saturday with as much excitement as I am. Rains have arrived in Pune, it’s cool, it’s green, it’s beautiful and it’s ready to host all the bloggers for the BlogCamp Pune 2. Just a quick reminder about some cool sections of our wiki that you can use to reach the Blogcamp in more fun way. Please be there at 9:45am. We are going to start at 10am. If you are coming from any far flung corner of the city, start early. If you are coming from Mumbai start way too early else you are going to miss the fun part. If you wish to volunteer for helping us in setting up the venue, please be at SICSR at 8:30am. What to expect at the blogcamp pune. If it is your first camp please read about the camp culture here. 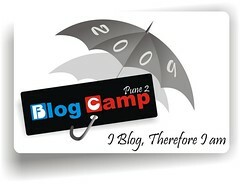 Reasons to attend the Blogcamp Pune. FAQs at our BlogCamp Pune wiki. In case you have any questions or you need to know about the venue please give us a call.